Last Thursday evening on his radio program, "Nights With Alice Cooper", ALICE COOPER debuted the first single, "Paranoiac Personality", off the forthcoming album Paranormal. 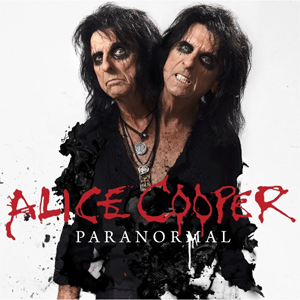 As previously announced, Paranormal features two songs written and recorded with the original members of the Alice Cooper band and also has guest appearances by ZZ TOP guitarist Billy Gibbons, U2 drummer Larry Mullen and Roger Glover of DEEP PURPLE. The album is out July 28 on earMUSIC and can be pre-ordered via Amazon and iTunes today. There will also be a limited run of blood-red vinyl available at indie retailers across the country.